I was excited to order 50 copies of my new book, The Ultimate Bitcoin Business Guide, to give away as part of our shock and awe thank you package to various book contributors. I logged into Create Space, a great paperback publishing platform, and proceeded to place the order with our business Visa debit card. I stopped at the pay button realizing I should buy my own bitcoin book with bitcoin. Since Create Space doesn't accept bitcoin, I simply whipped out my Coinbase bitcoin debit card to make the purchase of $299.93. I happened to peak at emails and noticed two confirmation emails from Create Space with two different confirmation numbers. This forced me to call and find out whether or not we'd been charged two times for the same order. Julie, the customer service rep, quickly confirmed my worst fears of a double charge. The whole course of events took place in under 5 minutes so I automatically expected the second erroneous charge to be cancelled end of story. Julie had to refund the second charge as she blindsided me with a 2-3 week refund timeline. I was once again deep in the middle of Credit Card Chaos™ overwhelmed by that familiar anxious feeling. Waiting 2-3 weeks for a refund is outrageous when we made no mistake in the first place. I overwhelmed the back button, but I only clicked the pay button one time. When I asked for a logical explanation for such a long wait, Create Space said it was in the hands of their third party processor. That sounds like a racket if I ever heard one. Just blame everything on a third party and you'll be in good shape. The only thing we don't know is which party(s) is using our money for 2-3 weeks. In addition to the two Create Space confirmation emails, we also got a pair of pending transactions on each of the Visa cards. This created massive amounts of anxiety knowing precious time resources would be wasted to follow up on the whole thing. We let 2 weeks go by and then months before circling back to confirm the refund. We did a quick search of the business Visa card transaction history and concluded the refund should have been on the bitcoin debit card so we called Create Space a second time. They gave me a refund confirmation number and told us to contact the card issuer. We emailed the card issuer with the confirmation number and they said it didn't match anything. Bob, customer service for the card issuer, volunteered to hop on a three-way call with Create Space to get to the bottom of the Credit Card Chaos™. I had to schedule a time the next day to call Bob and loop in Create Space. I'm logged into the banking site research ready and exhaust every effort to search for the transaction. It's hard not to go down the wrong path with that kind of distraction and misinformation. I quickly acknowledged I wasted everyone's time and thanked them for their efforts. I was robbed of the thing I value most, peace of mind. If Create Space would accept bitcoin, there wouldn't be any Credit Card Chaos™. The absurdity of the rusty old-rail credit card model blows my mind. You hand over all your financial information to another party and ask them to kindly PULL the money from your account. Meanwhile bitcoin allows you to just PUSH the money without the vendor having your financial stuff. You don't ask someone to reach into your wallet and PULL out cash, rather you TAKE cash out of your own wallet. Get your copy of the Ultimate Bitcoin Business Guide™ in ebook, paperback and audiobook and start using 21st century money. 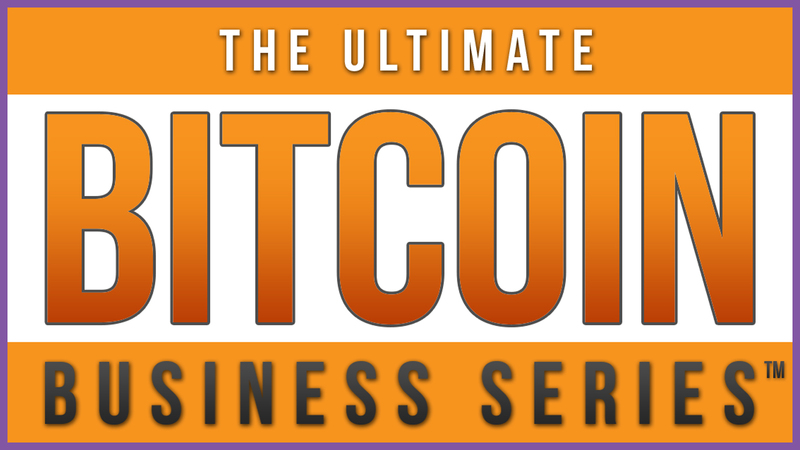 Continue your bitcoin and cryptocurrency mastery with The Ultimate Bitcoin Business Blog™ and The Ultimate Bitcoin Business Series™.